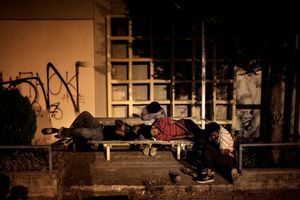 I found them in the 'urban holes' that dot the landscape of an Athens wounded by crisis. Hundreds, thousands, hidden in the abandoned industrial areas surrounding the port of Patras and the disused train station in the center of Corinth. They are kids, the subjects I followed for this project. 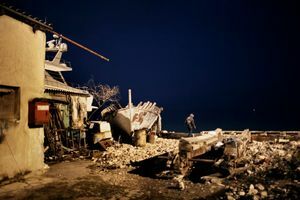 After desperate journeys, they arrive from the wars which have tormented their countries in recent years. But war, for them, was only the beginning of the tragedy. 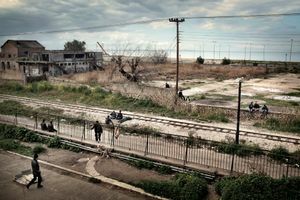 Those who come from the Middle East and Central Asia are trying to reach Europe, through its eastern door, Greece. They then get stuck there due to increasingly harsh security checks and racism. Not only are they stuck in the country but they are faced with increasing levels of discrimination, some of which degenerates into outright neo-Nazi violence. 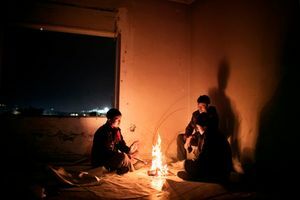 The young Afghans I met fled from the forced militarization practiced by the Taliban in the aftermath of the 2001 war. 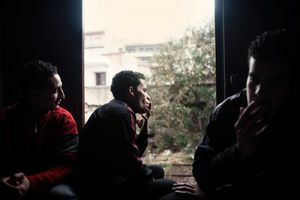 Others are fleeing a scorching North Africa in revolt. Persecution for religious, ethnic, or political reasons seems to promise refugee status in the European Union. Alas, the reality is not so welcoming. In Greece, as elsewhere, the rules are so tight that more than 99.5% of requests for asylum are refused. For this reason, they are forced to hide. They must stay out of trouble because obtaining a police record would mean the end of their dream of safe reception in Europe. 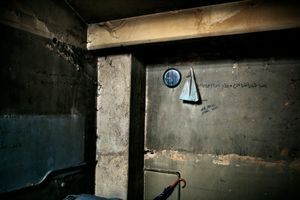 The Dublin Regulations, the EU laws concerning asylum, dictate that an applicant is associated with the country through which they first arrive. 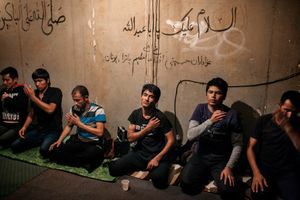 It becomes the duty of that country to decide whether to grant refugee status or not, irrespective of where the application for asylum is made. 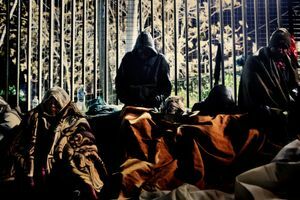 The attempts to harmonize asylum regulations in Europe were quietly swept away during the widespread economic crisis. The Mediterranean countries have been flooded with immigrants while, at the same time, their local economic conditions worsen. 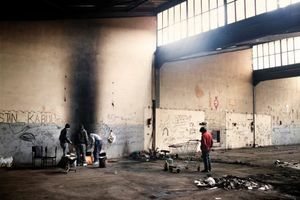 The difficult social and economic climates in these countries means that anti-immigration sentiments serve as an outlet for xenophobia and violence. This phenomenon can represent an insurmountable obstacle for immigrants to achieve even the most basic human rights. 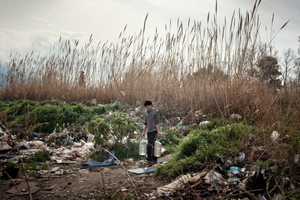 Currently, there are more than one million immigrants living in Greece. Many are adolescents or barely over 18. They are kids who have not been able to experience their youth. 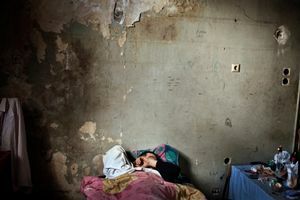 Youths who are left to fend for themselves without the least bit of assistance, at the mercy of everything and everyone . 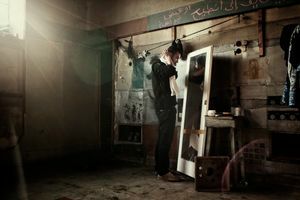 I found a group of about ten Afghans between 14 and 18 years of age in a dilapidated bathing establishment in Patras. 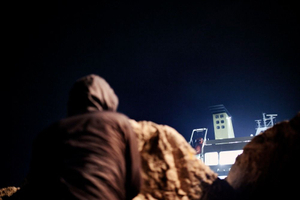 "We came to Patras because we want to leave Greece," Sakir, a 17-year old Afghan, told me. 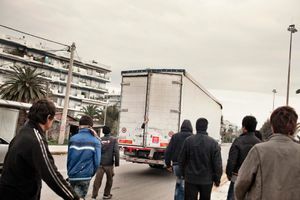 Every day, Sakir and his friends try illegally to get onto one of the trucks headed for Italy. "I managed to get to Italy once, but the police found me in Ancona and sent me back…I was not allowed to speak with anyone who understood me!". 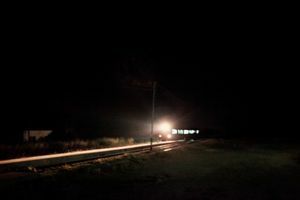 He continues, "Now I travel with a razor blade, so that the next time I get there, I’ll cut my face and they will have to take me to the hospital — right?" 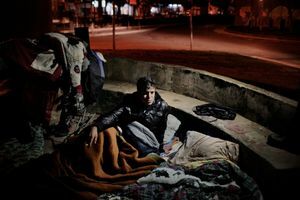 Sakir has been in Greece for more than six months and does not have the faintest idea of what 'political refugee' means. In Corinth, another port, the boarding of boats is attempted by a group of North Africans. They bide their time in an old train station. 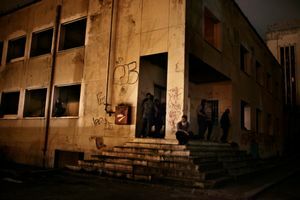 But the Golden Dawn, an increasingly popular extreme nationalist party, has formed strong roots in Corinth. 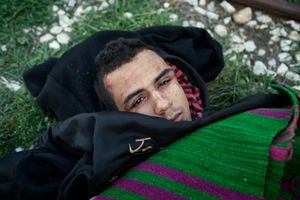 Mostafa, a 20-year old Moroccan, says to me, "Yesterday they came to shoot rubber bullets at us. We don’t know what to do or who to get to help us." 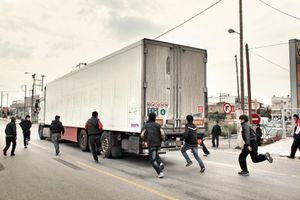 On February 18, 2012, in Corinth, the group was attacked by three locals. 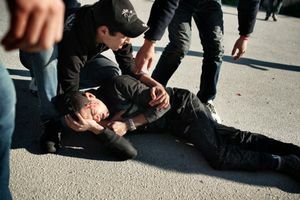 Mostafa El Mouzdahir, was hit by a car and sustained multiple injuries. I witnessed the attack and later I went to see him in hospital. Lying in bed, he was holding a police form which asked him to leave the country within 15 days since he was there illegally. Others stay in Athens, the capital, because they get tangled up in bureaucracy for years. 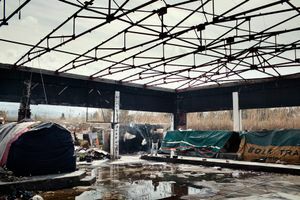 Seeking to obtain permits to remain in Europe legally, they end up living on the outskirts of the city, in old or abandoned buildings. 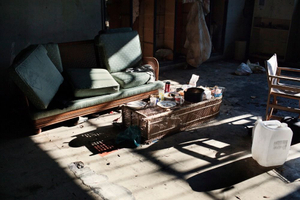 A., a 16-year old Afghan, lives in a disused Columbia Records factory. "I was able to leave my country thanks to my parents’ savings." he said to me. He manages to speak with his parents every now and then. "They always ask me about my brother, but for more than a year, I don’t know what has happened to him."